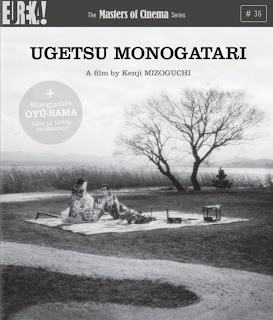 I like Ugetsu a great deal, although the other Mizoguchi film I've seen, Sansho The Bailiff, was very tedious for me. The film can be described as a parable on the dangers of avarice, but that would make it sound very moralistic and boring. It's a drama mixed with supernatural elements and very nicely done at that. Mizoguchi has an eye for visuals and splicing them together through very deft editing - An important scene of a boat voyage over a lake forms a very memorable part of the film. The blu-ray from Eureka's Masters of Cinema series is in most part a quality high-definition presentation of the film. Fine detail is evident throughout and contrast is balanced, giving a film-like quality to the image. Unfortunately there is a fair deal of print damage inherent to the source, with some instances so severe it looks like the actors walked into a downpour or stood under a very leaky roof. These moments don't last long but they're not easily ignored. It would have been nice if they could have been mitigated but that again brings the risk of erasing detail from the image, so in retrospect it's a fair tradeoff. The music of the film is very nicely represented in the audio. 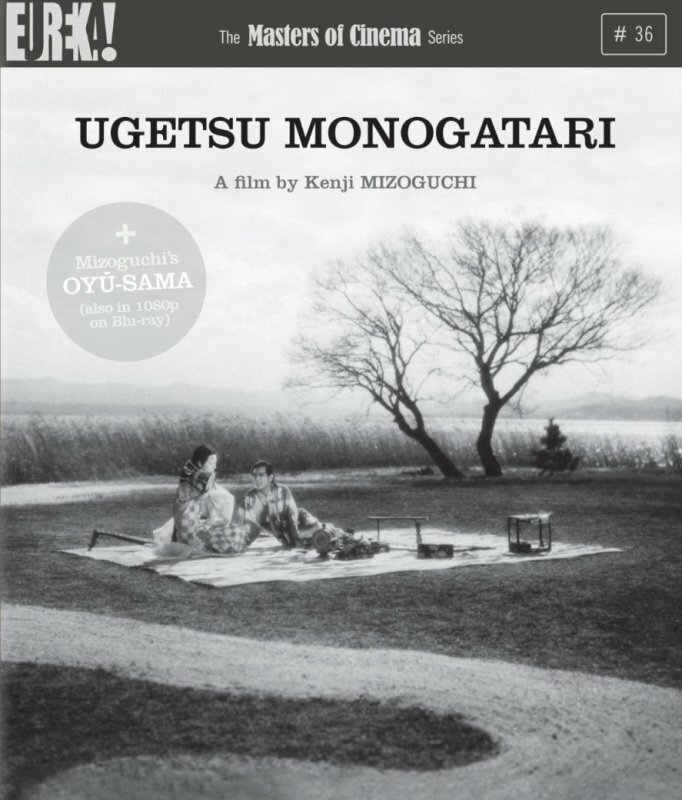 Apart from a nice booklet which bears some rather garish poster art and contains the original short stories on which Ugetsu is based, the disc houses an interesting video discussion of the film with critic Tony Rayns. The real bonus is the inclusion of another Mizoguchi film, Oyu-Sama. I'll update this post with my impressions of that once I actually see it. There would be those that will try to convince you that Oyu-Sama is a minor gem from a master film-maker. Rubbish, it's nothing of the sort. It's a typical Rajashri Productions melodrama like Hum Aapke Hain Kaun, but without the manically cheery song and dance sequences* and Laxmikant Berde, and I'm not sure it's any better for it. At a girl-seeing ceremony, a young man falls for her older sister Oyu. The hitch is that the older sister's a widow with child, and bound to her orthodox in-laws' home. The girl Oshizu has the absurd idea that she and the groom can have a "pretend" marriage while he "makes her older sister happy". In Meiji-era Japan, they apparently do this by taking walks at hot spring resorts and playing the sort of childish games that in adults take on a horrifying tone. Obviously, this leads to a situation where everyone's happiness gets raped, which in old Japanese movies means many scenes where characters face away from each other and bow their heads down to cry, while you scan the screen trying to find something interesting in the decor to alleviate your misery on having to sit through this tripe. Bleh. *The emphasis is on cheery, there are a couple of ritualized musical performances with some spiffy stringed instrument playing and the quavering eerie vocals typical to the style of the time.